Our Xtreme Hike at the Grand Canyon is one of the most challenging in the country. Where else can you conquer one of the seven natural wonders of the world?! 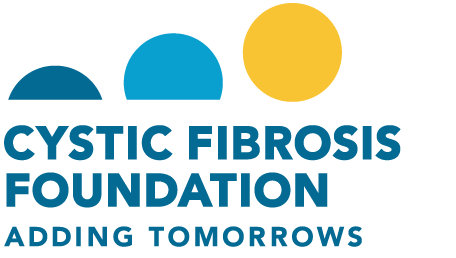 The Arizona chapter of the CF Foundation hosts this extraordinary endurance event to raise awareness and funds to help those with CF live longer, healthier lives and to one day find a cure. The CF Foundation Xtreme Hike requires sacrifice and determination, and challenges each hiker to reach personal and philanthropic milestones which celebrate and support those living with CF. 1. The Summer Xtreme Hike is May 31-June. Hikers will descend on the North Kaibab Trail and ascend on the Bright Angel Trail. This is a 23.5-mile North Rim to South Rim Hike. 2. The Fall Xtreme Hike is September 27-29. Hikers will descend the Bright Angel Trail and ascend the North Kaibab Trail. This is a 23.5-mile South Rim to North Rim hike. With only 25 spots available, this is an exclusive opportunity to conquer one of the most challenging hikes in the United States. Due to the difficulty of this hike and the dangers inherent to Xtreme Hiking, we reserve the right to restrict hikers from entering the Grand Canyon and/or completing the challenge if not sufficiently prepared. Hikers check-in at the CFF Arizona Chapter office (2777 E. Camelback Rd.) in Phoenix, AZ on Friday, September 27th. All Xtreme Hikers travel together on a comfortable motor coach to the South Rim where lodging is provided (double occupancy) at the Yavapai Lodge. The group enjoys a pre-hike dinner on Friday evening. Upon completion of the hike on Saturday, we will revel and recover at a ‘Top of the Rim’ celebration. Hikers will be shuttled to the North Rim Lodge for dinner on their own. The celebration breakfast on Sunday caps the Xtreme Hike experience before our return to Phoenix. Xtreme Hike Grand Canyon is limited to 25 hikers per hike. Each hiker commits to reach a fundraising goal of $3,500. THIS EVENT FILLS UP QUICKLY. Registration will be accepted on a first-come first-served basis. Registered hikers will receive hike preparation materials which will assist them in reaching their training and fundraising goals. For specific information about Xtreme Hike Grand Canyon and sponsorship opportunities, contact Karli Newman at 602-224-0068 or knewman@cff.org. Would you like to join the select group of Sponsors for Arizona's Xtreme Hikes at the Grand Canyon? Funds raised will support the mission of the Cystic Fibrosis Foundation to cure cystic fibrosis and to provide all people with the disease the opportunity to lead full, productive lives by funding research and drug development, promoting individualized treatments, and ensuring access to high-quality, specialized care. Despite tremendous progress, we are not yet done. To learn how you can become an Xtreme Hike sponsor, please contact Karli Newman at knewman@cff.org or 602-224-0068. View our available sponsorship packages here.